Woodland Hills is a new development consisting of a total of 25 lots, with drilled wells and public sewers. Located at the center of Averill Park, yet secluded in a canopy of nature and tall pines, it offers a peaceful and beautiful setting for easy country living. There are 11 lots left in Phase II and 10 lots are available in Phase III. All lots are heavily wooded and I acre or over. Also if you like larger lots, there are 10 acre, 9 acre and 3.7 acre lots available. 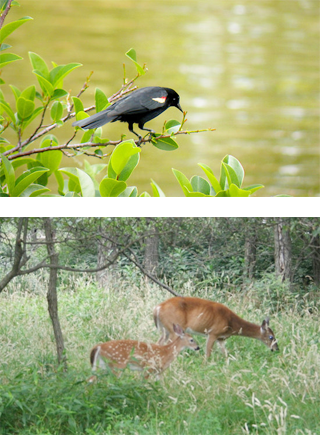 Some lots are available on scenic wetlands where nature abounds. Woodland Hills is nicely located across from a park, next to Averill Park High School and within a 2 minute walk to Crystal Lake. There is a 20 minute commute to Albany and a 15 minute commute to Troy. 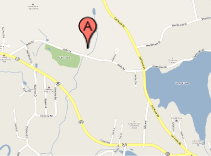 It is a 5 minute drive to the Junior High and Elementary Schools of the Averill Park School District. Woodland Hills is close to many cultural and recreational activities in the region. It is 45 minutes from Saratoga with the Thoroughbred Race Track and SPAC; 1 hour from Lake George and the Adirondacks; 30 minutes from Jiminy Peak Ski Resort in Hancock Massachusetts; and 45 minutes from Tangelwood and other museums, art galleries and restaurants in Massachusetts. Custom Homes in this development begin just under $400,000 and range to the upper $500's or more, with your plans or ours. No two homes will be the same. Call for an appointment to meet with the builder, Art Herman Jr., to begin creating your new home.